« Photo Gallery: Lag BaOmer Parade 1976! CrownHeights.info has learned that Americare, one of the largest home care providers, secured a major corporate sponsorship deal with the Lag Baomer Parade organizers. Americare became for the first time, the sole Major Sponsor of the most anticipated Lag Baomer parade. 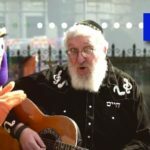 This year, the parade organizers are planning a unique and historic event namely a concert of the biggest Chasidic singers in Jewish history, featuring Mordechai Ben David, Avraham Fried, Lipa Schmeltzer and Uncle Moshe. Lag Baomer is the day where children increase in Ahavas Yisroel, joy and fun, following the teachings of Rabbi Shimon bar Yochai, the author of the Zohar, who commended that this day should be a joyful and wonderful day. 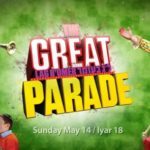 This Parade offers the opportunity to develop a lasting bond with our children based on the traditional values of Torah and Mitzvot. Americare has provided home care services since 1985 in the New York area. They recently developed a special program in Crown Heights, attending to the special needs of the community. Americare has been filling a void in the health care and wellbeing of many patients. The parade will take place on Sunday May 2, 2010 at 10:15am. It has been confirmed that the Chairman and CEO Elly Kleinman along with Executive Vice-President Faivish Pewzner will attend the parade, together with other company officials. Americare is a CrownHeights.info advertiser. This s serious Kidush Hashem. Elly Kleinman is a well known Baal Chesed in the Jewish world giving literally millions to the right causes. how nice to see Achdus. Faivish & Tmar you make us all so proud.